Maurice McCray, 31, of Waterville who authorities said was the nexus for a drug trafficking ring in central Maine pleads guilty to federal charges of distributing prescriptions drugs and cocaine. A Waterville man who authorities said was the nexus for a drug trafficking ring in central Maine has pleaded guilty to federal charges of distributing prescriptions drugs and cocaine. 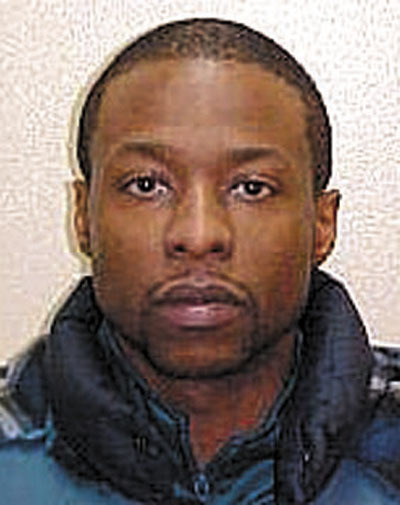 Maurice McCray was one of 10 people rounded up in central Maine on March 22, 2012, on federal drug charges. Ten more people were arrested over the next few months on various charges related to the drug conspiracy. Under federal statutes, McCray, 31, faces a 10-year minimum mandatory sentence because of the amount of cocaine mixture involved and because he has a prior felony drug offense. On Tuesday in U.S. District Court in Bangor, McCray pleaded guilty to distributing oxycodone and conspiracy to possess with intent to distribute and distribution of oxycodone, and more than 500 grams or more of a mixture containing cocaine. McCray remains in custody and will be sentenced at a later date. At Tuesday’s hearing, U.S. District Court Judge John A. Woodcock Jr. warned McCray about the mandatory minimum sentence. Documents filed by the prosecutor, Assistant U.S. Attorney Joel Casey, show that McCray had access to a supply of drugs in New York, and distributors and customers in central Maine. McCray’s defense attorney, Marvin Glazier, on Wednesday would not say anything about the case. The conspiracy lasted from Jan. 1 to March 17, 2012. “To make a profit, the defendant charged his customers a few dollars more per oxycodone pill and a few dollars more per gram of cocaine,” Casey wrote. Another man charged in the same conspiracy, Benjamin Lemieux, 29, of Winslow, also pleaded guilty Tuesday in the same court. He faces a minimum mandatory five-year sentence. On March 22, Justin Lacroix, 24, of Waterville, was sentenced to 46 months in federal prison. He had pleaded guilty earlier to the drug conspiracy charge as well as a charge of possession with intent to distribute cocaine and aid and abet. Kenneth Robinson, 44, also known as “Kill,” of New York, pleaded guilty on March 4 to conspiracy with intent to distribute and distribute oxycodone. Prosecutors say he got the money from McCray or via McCray’s mother to buy oxycodone pills that would be sent to McCray. Much of the evidence against Robinson was obtained from wire and electronic communications between Robinson and McCray and other co-conspirators, according to documents filed in the case. • Cassandra Ware, 22, of Albion, has a sentencing hearing set for April 30. • Joshua Blodgett, 21, of Skowhegan. • Patrick Hanson, 21, of Waterville. • Saul Hernandez, 24, of Augusta. • Jesse Jones, 24, of Waterville, has a sentencing hearing set for April 22. • Rodney Lacroix, 23, of Waterville. • Dominic Collins, 21, of Skowhegan. • Thomas Veilleux, 32, of Farmingdale. Tara Pelletier, 31, of Waterville, is scheduled for a change-of-plea hearing April 11. She previously pleaded not guilty to the drug conspiracy and possession charge. Charges remain pending against seven defendants: Natasha Adorno, Robin Brown, Tanicka Brown, James Proudfoot, Tyrone Pereira and Tequan Walker, all of New York, as well as against Daniel Pinnette, 49, of Waterville. Several of the defendants remain free on bail.